WHICH UK SEASIDE RESORT TO CHOOSE? With a blue flag beach, close proximity to Ingomells and all the trappings of a traditional seaside holiday in the UK, Skegness is an easy choice. Ride the beachfront funfair, gorge on fish and chips or simply settle down for some serious sandcastle building – there’s lots going on at Skegness for fun-filled breaks by the sea. Brighton England’s ‘alternative’ seaside resort, Brighton is as popular with families as it is with the cool kids. Pull up a deckchair on the pebble beach, have fun on the pier, browse the shops and cafes in the lanes or spend a day at the SeaLife Centre. For a seaside break with added personality, Brighton is the perfect choice. 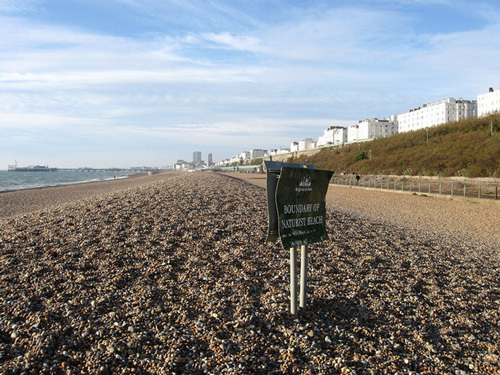 As the sunniest spot in the UK, Bognor Regis has to make it onto any list of top seaside spots, and the award winning beach and the South Downs National Park offer lots of opportunities for fun in the fresh air. Cushelle are currently running a competition to win one of three family breaks to The Wave Hotel at the Butlins Bognor Regis resort– all you need is a Cushelle barcode and you can enter easily online. This popular Northern seaside destination is crammed with fun things to do for all ages. The Pleasure Beach and The Tower are big draws here, and little ones are sure to love the new Nickelodeon Land filled with all their favourite characters. Add a SeaLife Centre, Madam Tussauds, the Blackpool Dungeons and endless amusement arcades and there’s never a dull moment in Blackpool! Minehead is a fantastic choice for those who like the great outdoors, with the Exmoor National Park on the doorstep. There’s also a gorgeous sandy beach to enjoy – so don’t forget your bucket and spade! Take your time choosing the perfect seaside spot for your summer holidays, and you’re sure to enjoy an amazing, affordable, family break, that’s practically on your doorstep!